Doris (King) Martin, age 96 of Boone and the Eastern Star Masonic Home, died September 13, 2018 at the Masonic Home. Funeral Services will be Monday, September 17, 2018 at 10:00 a.m., at the Central Christian Church with Pastor Mike Carlson officiating. Burial will be in the Pilot Mound Cemetery in Pilot Mound, next to her first husband Joseph King. Doris Darlyn Ferguson, was born in Boone, Iowa on September 29, 1921, the daughter Cecile Glen and Marvel (Marrow) Ferguson. Doris attended grade school at the Hickory Grove School in rural Boone and graduated from Boone High School in 1938 at the age of 16. On March 27, 1947, Doris married Joseph King at Omaha, Nebraska. Joseph died in 1977. In 1983, Doris married Eugene Martin at the Little Brown Church in Nashua, Iowa. Over the years, Doris worked as an office secretary for Walter Goeppinger (Goeppinger Enterprises), KWBG Radio, Spurgeon’s Department Store, Miller Oil Company, and Ray Duffee Insurance Agency. She also served as Executive Secretary for the National Corn Growers Association in Iowa, while working for Walter Goeppinger. Doris was a member of the American Legion and V.F.W. Auxiliaries of Boone and volunteered at the Boone County Hospital Gift Shop and for the children’s reading program at Lincoln Elementary School. She was also a member of Central Christian Church. She enjoyed bird watching, flower gardening, reading, working puzzle books, and going out to coffee with friends. Doris loved spending time with her family and friends and enjoyed cooking Sunday dinners for her family and making her famous, mac and cheese. She is preceded in death by her parents, both husbands, and her beloved German Shepherd, Ringo. 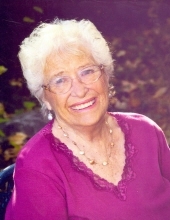 Doris is survived by two daughters, Darla Grosnickel of Boone and Cheryl Lindholm and husband, Tom of Ogden; four grandchildren, Kim Peterson and her husband, Doug of Boone, Kelli Scharfenberg and her husband, Mark Favorite of Denver, Colorado, Matt Lindholm and his wife, Krista of Des Moines and Angie Leon and her husband, Gerardo of Denison, Iowa; great-grandchildren, Luke Peterson and Joey Peterson of Boone, Kailey Thompson, Austin Thompson, Walker Scharfenberg-Wright and Hayden Scharfenberg all of Denver, Colorado, Ayma Lindholm, Emerson Lindholm and Jackson Lindholm of Waukee, Iowa, Sofia Leon, Libby Leon, Hoyt Leon of Denison, Iowa, Alex Leon and Briana Leon of Davenport, Iowa; two step-grandchildren, Randy Ober of Madrid and Sammi Jo Gray and her husband, Brian of Webster City and their children, Brenden, Alexa and Codi, and one great-great-granddaughter, Annalise Blumin of Denver, Colorado. Friends may call at the Schroeder-Reimers Memorial Chapel at Sixth and Marshall, on Sunday from 2 to 6 p.m. where the family will be present from 3 to 6 p.m. On Monday, friends may call at the Church from 9 a.m. until service time. In memory of Doris, memorials may be directed to the family. To send flowers or a remembrance gift to the family of Doris Darlyn (King) Martin, please visit our Tribute Store. The family will be present from 3 pm until 6 pm. "Email Address" would like to share the life celebration of Doris Darlyn (King) Martin. Click on the "link" to go to share a favorite memory or leave a condolence message for the family.